One of the promising artistes in Ghana, Vybrant Faaya, has been confirmed dead in a road mishap that occurred on Sunday. A statement issued on Sunday evening by his management, Shatta Movement Family (SMF), disclosed that the dancehall act died in a car accident on the Tema Motorway in Accra, the Ghanaian capital city. The statement, signed by Mr Kelly Nii Lartey Mensah, the Communication Directorate of SMF, said the music act, whose real name is Emmanuel Kojo Quayeson, had had a discussion with his family at about 3pm on Sunday, but died in the auto crash moments later. 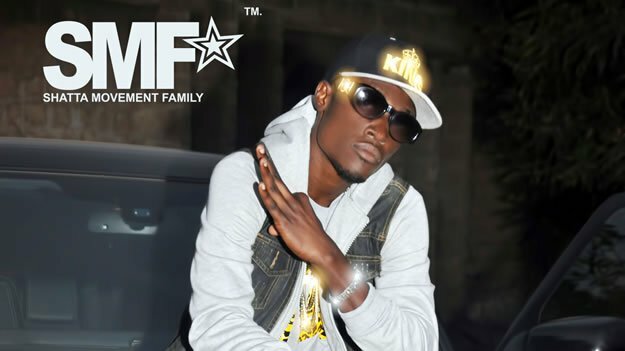 “Management of SMF received heart-breaking news of the death of dancehall musician and award-winning entertainer, Emmanuel Kojo Quayeson known by his stage name as Vybrant faya at the 37 Military Hospital in Accra after being involved in motor accident on the Tema Motorway, on Sunday 23rd October 2016,” the statement said. It went further to say, “We are shocked and in total state of sorrow. We met with Vybrant and some of his family members on Sunday afternoon around 3pm and had a rather good discussion. The management narrated that after it received the shocking call, “A team from SMF was quickly dispatched to the hospital only to be told that our brother has passed on.